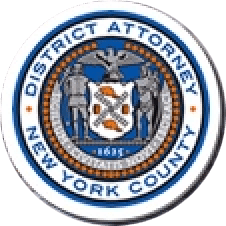 Manhattan District Attorney Cyrus R. Vance, Jr., today announced the trial conviction of FRANCISCO ALSINA, 25, for a fatal shooting inside of a subway station on the corner of Eighth Avenue and West 35th Street. A New York Supreme Court jury found the defendant guilty of the following counts against him: Murder in the Second Degree, Attempted Murder in the Second Degree, Assault in the First Degree, and two counts of Criminal Possession of a Weapon in the Second Degree. He is expected to be sentenced on June 15, 2017. On February 23, 2017, ALSINA’s co-defendant, VINCENT ARCONA, pleaded guilty in New York Supreme Court to Manslaughter in the First Degree for his role in the shooting. He was sentenced to 13 years in state prison on April 18, 2017. As proven at trial, at approximately 6:12 a.m. on November 9, 2015, ALSINA and ARCONA were arguing with two men outside of a McDonald’s restaurant on Eighth Avenue near West 35th Street. As the men continued to argue, the defendants led the victims to a subway entrance on the corner of Eighth Avenue and West 35th Street, then downstairs to a landing leading to the subway station. ALSINA then removed the gun from his waistband and fired four shots, striking the first victim in the neck and stomach and the second victim—fatally—in the neck at close range. A third victim suffered a graze wound to his leg as he ran from the scene. ALSINA and ARCONA fled to a car parked on the northeast corner of West 35th Street and 8th Avenue and traveled to ALSINA’s home on Long Island before fleeing to Rhode Island the following day. The two stayed with ALSINA’s relatives in the days following the incident until NYPD officials tracked his phone to the Rhode Island address. Both were apprehended on November 12. Assistant District Attorneys Jung Park and Ayanna Sorett handled the prosecution of the case under the supervision of Assistant District Attorney Peter Casolaro, Senior Trial Counsel for Trial Bureau 70; Assistant District Attorney Lanita Hobbs, Chief of Trial Bureau 80; and Executive Assistant District Attorney John Irwin, Chief of the Trial Division. Supervising Rackets Investigator Mark Stewart and Trial Preparation Assistant Robert Laird also assisted with the prosecution of this case. District Attorney Vance also thanked Detective John Peters of the Manhattan District Attorney Squad; Detective William Brower of NYPD’s Midtown South Precinct Detective Squad; Detective Joseph Barbara of NYPD’s Manhattan South Homicide Squad; and the Rhode Island State Police for their assistance with the case.